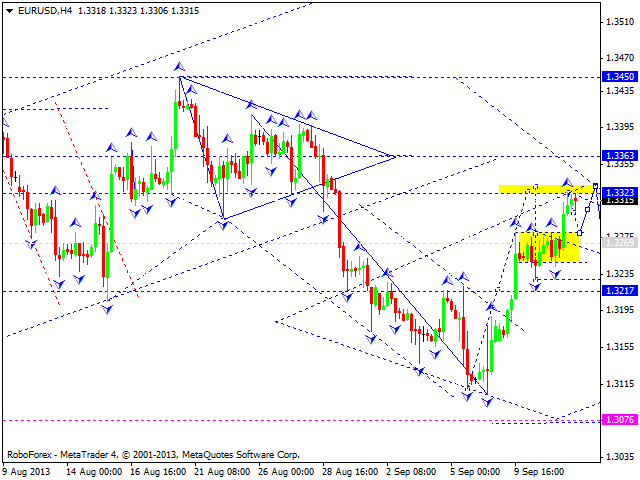 Euro continues forming an ascending structure; the target is at 1.3330. 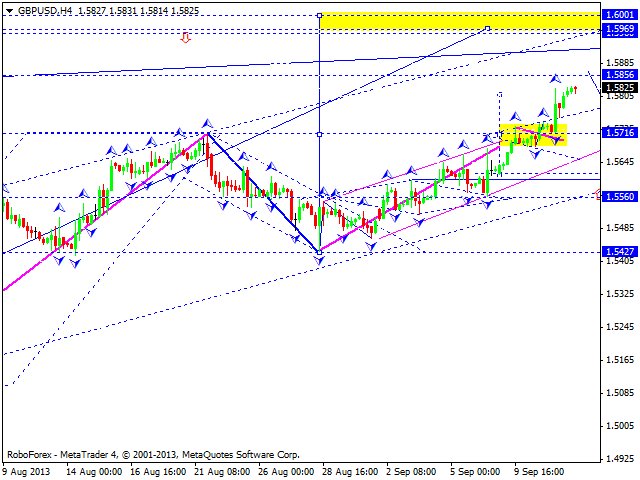 After reaching this target, the price may start a descending movement towards the level of 1.3080 and then form a new ascending wave to reach the target at 1.3600. Pound is still moving inside its fifth ascending wave; the market has almost formed a continuation pattern and right now is moving upwards with the target at 1.6000. We can’t exclude a possibility that the on its way to the above-mentioned target the price may test the level of 1.5716 from above. 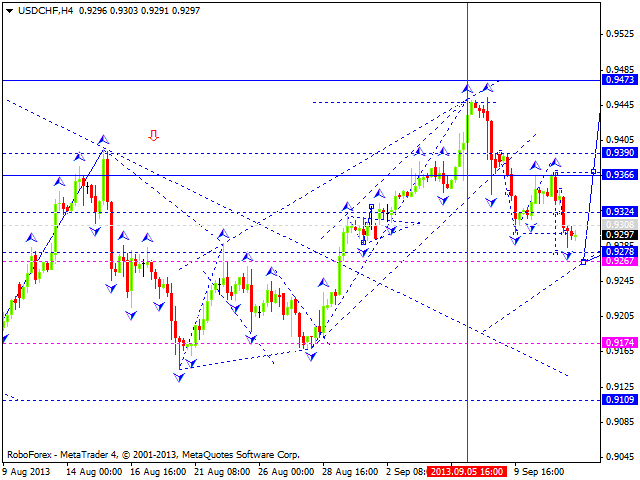 Franc is forming another ascending structure with the target at 0.9278. Later, in our opinion, the pair may form the fifth ascending wave towards the level of 0.9470 and then start falling down again to reach the target at 0.9100. The USD/JPY currency pair is forming a descending structure; it has already completed two impulses. 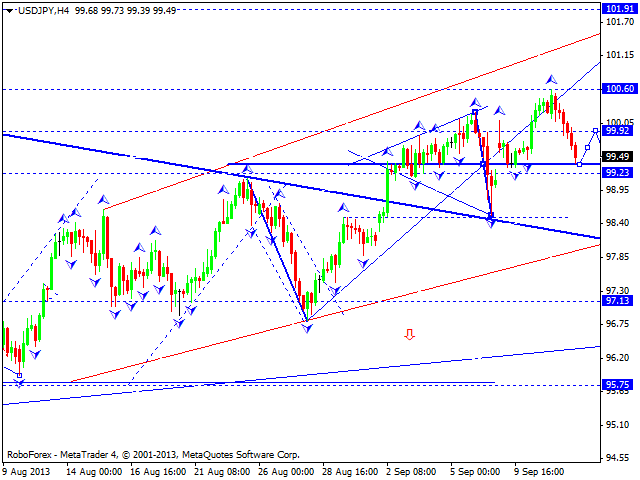 We think, today the price may form another one, towards the level of 99.23 and then return to the level of 99.92. After completing this structure, the price may offer two possible scenarios. The first one is to continue growing up to reach the level of 102; the second one is to continue moving inside the descending trend. 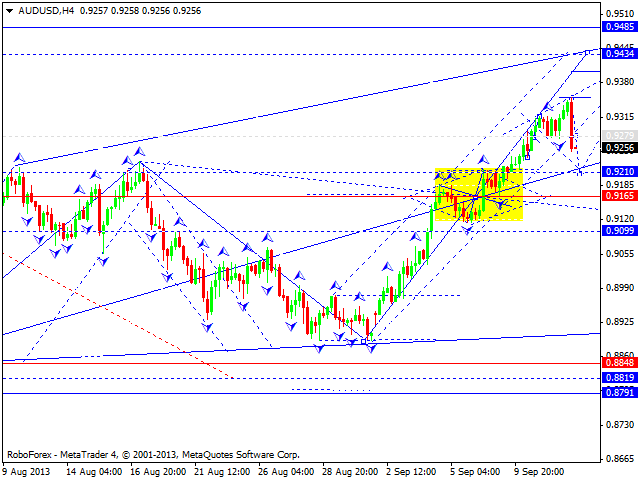 Australian Dollar is trying to test the level of 0.9210 from above. We should note, that if the price forms a continuation pattern near the level of 0.9165 and then breaks it upwards, the pair will continue moving upwards to reach the level of 0.9430 without any corrections. After reaching this target, the market may form one more descending correction. 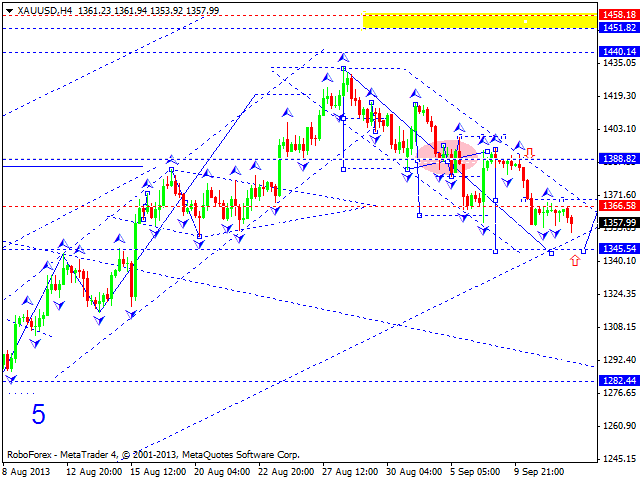 Gold is still moving inside the fifth structure of the descending correction. We think, today the price may reach the target at 1345.50 and then start another ascending structure towards the level of 1455.00.